Articles are important for a number of reasons. 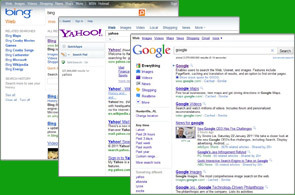 You can populate your own website or blog, but you can also submit them to many Article Websites, such as ezinearticles.com , goarticles.com , articledashboard.com , etc. By submitting the articles to Aritcle Websites, it not only provides you with more exposure, but many of these websites can re-distribute your articles, creating a viral affect. And of course within the article you would have links back to your website, videos, other articles and/or your social media sites, like Facebook, and Twitter. So article submission and distribution is a very import factor in the SEO Industry. Article Marketing is a great SEO service which allows us to submit your articles to various Top Ranking Article Distribution sites and also insert two anchor text links to the author bio. So these links will be crawled by search engines such as Google, Bing and Yahoo very quickly. What are the features of Article Submission & Marketing Service? What are the benefits of Article Submission & Marketing service? For first time orders, we will create the Article Directory accounts free of charge. Then these accounts can be used by you (or us) for future submissions. We will create Article Marketing Directory Accounts and submit your articles accordingly. Upon completion of the submissions, we will provide you with the detailed report. And for first time orders, another report of all the accounts with usernames and passwords.